A double whammy of baby barristers have been appointed to the judiciary. The youngest of the two is Richard Archer, who aged 32 was recently made a recorder. 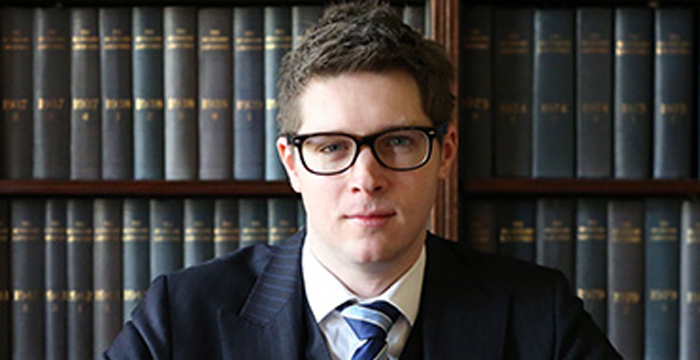 Archer — who graduated from the University of Liverpool in 2006 and was called to the bar in 2007 — is a criminal law barrister at 15 Winckley Square in Preston and has experience in both prosecuting and defending. His appointment follows that of fellow recorder Anna Midgley, who was made a Crown Court judge aged 33. At the time, she was widely reported to be the youngest criminal law judge in recent history — a title now snatched by Archer. Also recently welcomed to the bench is Rosa Dickinson, a 34-year-old lawyer and now a district judge on the Midland Circuit. Having graduated from Oxford with a law degree in 2005, Dickinson then studied the bar course at Nottingham Law School the following year. She’s now an employment and civil law barrister at St Philips Chambers, her chambers profile stating she takes on cases including “trippers and slippers” and road traffic accidents. Archer and Dickinson follow in the footsteps of a number of barristers bringing a youthful glow to the — stereotypically middle-aged — judiciary. To give you a flavour of just how baby-faced the bench is becoming, we’ve reported on the likes of Ita Farrelly, who only qualified in 2008 and was made a judge in the first-tier tribunal aged 32. Before then, there was Briony Clarke, who was made a deputy district judge when she was 31. As a near-contemporary of Richard Archer at the University of Liverpool, and practitioner at the criminal Bar, I’m both insanely jealous and delighted for him at the same time. The abusive comments above are unfounded and typical of the “tall poppy syndrome” which seems to be prevalent at the moment. With my experience I will say judges work only to keep their good records not for Justice. Let’s see if young judges do something better as they have more energy and fresh brain to do something different. Ok, I will be the first one to congratulate them. Looks like a fascist to me. He can bugger off. Excellent. I went through selection to be a magistrate at 20, at which point my age was their focus rather than other characteristics such as my ability to do the role well and that age did not affect so it’s good to see this rather myopic view is not replicated. Do not criticise another’s writng style by using the phrase ‘reason why’! If you think high standards of literacy predominate among Magistrates you’ve probably never set foot inside a Magistrates Court. Excellent! It’s always good to see quality people do well. Especially those who provide such a needed service. 34 is not “young”. That is early middle age. A career judiciary is pretty sensible. Thats very young when you think of the experience a judge requires. This isnt your average job where being promoted to a managerial position is something you can compare to. A Liverpool graduate of 11 years’ Call who practises criminal law from chambers in Preston. The country is indeed lucky to have a person of his intellectual and professional distinction on the Bench. I suppose all regions of the country would be better served by all judges having been Oxbridge-educated and having London-based practices prior to going on the bench? Liverpool is the original Redbrick and holds its own in the law, with plenty of counsel, Judges, Law Lords and a Lord Chancellor having been Liverpool graduates. F.E. Smith (later Lord Birkenhead) only spent 4 terms at Liverpool and never graduated, viewing his decision to go there a huge mistake, before heading to Oxford as an undergraduate. He was, in short, an Oxford man, with a brief and wholly irrelevant association with Liverpool. Yes. And whilst Lord Nicholls of Birkenhead went to Liverpool as an undergraduate, he redeemed himself via an Oxford BCL. And your empirical evidence for that is…? First law of advocacy: bare assertions aren’t worth a carrot! Its complete absence from any city firm is enough evidence. Jealous of a great city. I assume you are an Oxford Brookes grad? Most Oxbridge graduates I meet are thick as two short planks. But why has Roll On Friday gone down? Is it something to do with the story about the alleged slap from a Magic Circle partner which they suddenly took down? Perhaps when you’re up before him for soliciting on the streets of expensive London to supplement your pathetic salary? Perhaps he has great merit as a jurist but it doesn’t sit well with me that this individual who looks as if he’s never suffered so much as a broken nail now has the power to send people away for decades. The fact that you make such a comment as this exposes the fact that you clearly aren’t in practice yet. If you were, you would be aware that most Chambers website photos are taken when one joins Chambers and, often, are not updated. The photo is probably from when he started tenancy, a decade ago. Bugger off. Uncle Joe sent people like you away for decades to the gulags and the nation was better for it. The only way for a criminal barrister to earn a decent wage? Kudos to this young man for making it into such a respectable role. Loving the peak lapel. Very Madison Ave.
No. He’s dressed like a spin. I think you mean spiv.